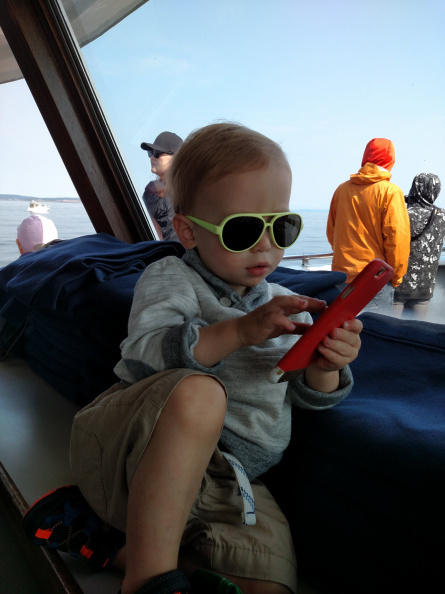 Roscoe banging out a few texts, apparently not interested in the whale watching going on around the boat. We took a whale watching charter out of Friday Harbor on San Juan Island. On the tour we saw some humpback whales and a minke whale, but no orcas, sadly.